Although the use and manufacture of asbestos-containing materials has declined significantly since the 1970s, many US workers may still be at risk for asbestos-related diseases such as mesothelioma. The exposure may have happened decades ago or it may be ongoing—because mesothelioma has such a slow onset workers often don’t realize their health has been compromised until long after the fact. 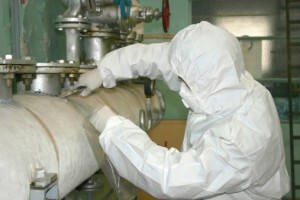 Here are some of the most common past and present high-risk asbestos disease jobs. In some cases, workers even returned home with asbestos fibers in their clothing and unwittingly exposed their families to danger as well. Now, decades later, many of these workers and their family members are being diagnosed with mesothelioma. Considering that the average age of mesothelioma patients at diagnosis is 72, workplace exposure fits all too well as the precipitating cause of the disease. In general, these workers are not at such high risk as in the past due to improved awareness and safety regulations. However, in situations where employers fail to properly assess asbestos risks, inform workers of those risks, and provide proper training in asbestos management, the potential for developing an asbestos-related disease in one of the above positions is still very worrisome. H2 Environmental can help employers ensure that their workers are protected as well as possible from risk of asbestos-related diseases by providing assistance with the development and implementation of various safety protocols. We can come conduct an asbestos awareness training session at your business to ensure your workers understand the OSHA requirements for working around asbestos. We can also provide testing of workplaces that may contain asbestos to avoid environmental exposure.